An appalling fact about dogs, learned today. by flickr user panikk, under a creative commons license. 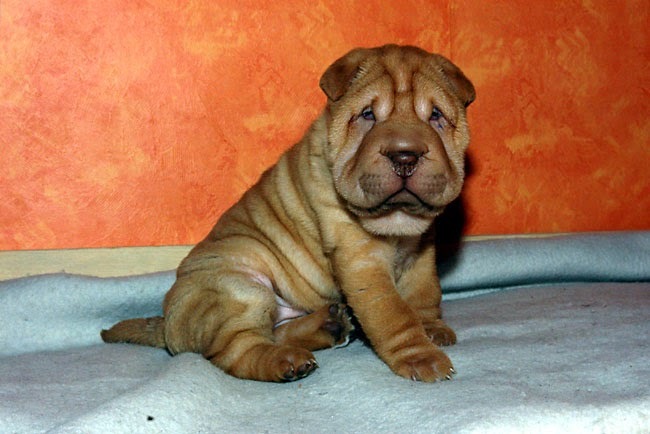 — do you know what the owners of shar pei puppies call their dogs in online forums? — sharpuppies? sharpies? peipies? peipeis? raisinettes? puppeis? sharpupplepies? And yes, there does, in fact, seem to be some use of this monstrous term online, as if these creased masses didn't have enough working against them.